Want to do something to help your local woodland in 2019? 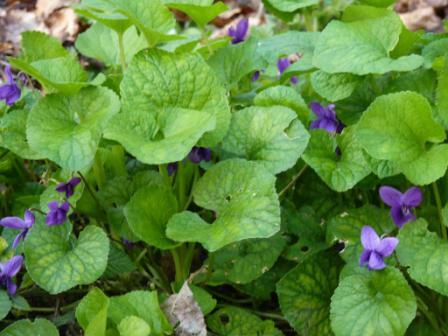 We'll be working in Hollingbury Wood clearing Snowdrop Glade and South Tennis Glade. We’ll also work to remove hybrid bluebells. Meet at the bottom of Roedale Allotments (top of Golf Drive) by a green storage container at 10:00 AM. Due to changes in weather, seasonal growth, etc, we do sometimes have to change our planned activities at the last minute, so do check the board outside the tool storage container on the day, or phone 07719 943237 on the day, if lost! Anyone wishing to come along to help or learn more about woodland management is welcome. People should come prepared. Rainwear, warm clothes, sun protection, gardening gloves and a pair of boots or wellies are recommended. Friends of Hollingbury & Burstead Woods have arranged a joint event up with the Rangers' Tidy Up Team as part of the Keep Britain Tidy Spring clean campaign to clear dumped rubbish and litter on the lower slopes of Burstead Wood. Litter pickers, gloves and bags will be provided and we will take a break half way through for a cuppa and biscuits. Please ensure you have stout foot wear as we will be working on sloping ground and there is a lot of broken glass in the area. 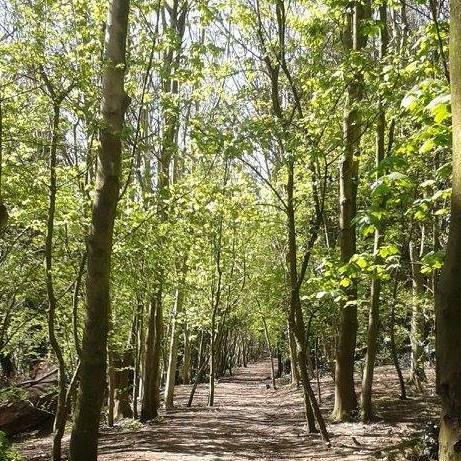 Friends of Hollingbury and Burstead Woods have helped Brighton and Hove City Council obtain official recognition for paths through the woodland as formal Rights of Way, thus protecting them for future use. To demonstrate that the paths are in constant use, local people were asked to confirm they have walked on the paths over the last 20 years. Several members of our Friends group provided evidence by completing a form for Brighton and Hove Council. If you want more information about public Rights of Way, please contact Peter Jarman on 01273 541206. Friends of Hollingbury and Burstead Woods are a group of local people who look after two areas of woodland off Ditchling Road near Hollingbury Golf Course. 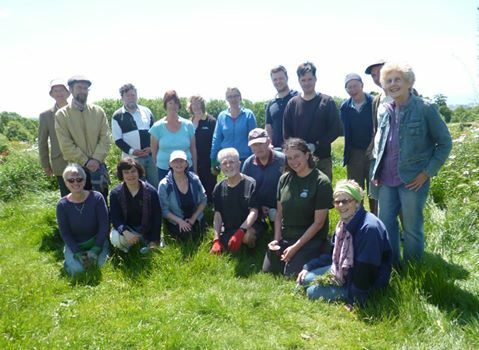 The aim of the group is for people to be able to enjoy the area and for wildlife to thrive. What we do - We meet once a month to carry out practical work in the woods, ranging from tree and hedge planting to path maintenance and litter clearance. This work is carried out under the guidance of a Brighton and Hove Park Ranger and our group’s Project Officer. Work sessions – On the first weekend of the month, alternating between a Saturday and a Sunday, we run work sessions from 10:00 AM to 1:00 PM. Gloves and tools are provided and no special skills are required - just enthusiasm! For tasks such as tree thinning and planting a new hedge, training is given. The work is not too arduous and everyone works at their own pace. We stop mid morning for a break and a chat, with coffee, tea and biscuits provided. See the Activities page for dates and details. Friends of Hollingbury & Burstead Woods were honoured with a prestigious Silver Gilt award in the annual South and South East in Bloom campaign. Among volunteer, friends and community groups across the region, our work in the woods won in the ‘large conservation area’ category. The South and South East in Bloom campaign aims to encourage an integrated approach to improving our local environment, with the judges looking for horticultural achievement, environmental responsibility, and community participation.